First & foremost, at Hammerworks we create Arts & Crafts Lighting using the same methods employed for all of our handcrafted lights. Above all, in this collection of Arts & Crafts Style fixtures, we produce a line of authentic period reproduction lanterns. Most importantly, the same high quality craftsmanship and attention to detail practiced to produce exceptional Colonial Post Lanterns is also evident throughout the Arts & Crafts Lighting collection. Furthermore, the simple details such as hand hammered rivets and the textured back of the lanterns add character to these Craftsman Style Lights. Most notably, just as with our Colonial Light Fixtures, the Arts & Crafts Lighting Collection includes everything you need to complete your design scheme. Thus, you can choose from several styles of Craftsman Style Post, Wall, Hanging & Ceiling Light Fixtures as well as Wall Sconces. 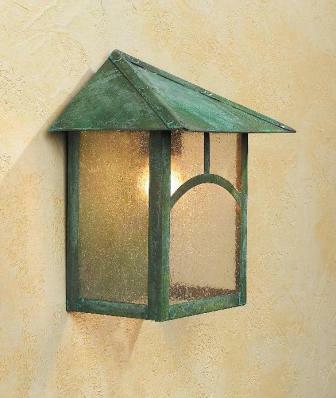 Of course, as always we offer antique copper, brass or verdigris finish. 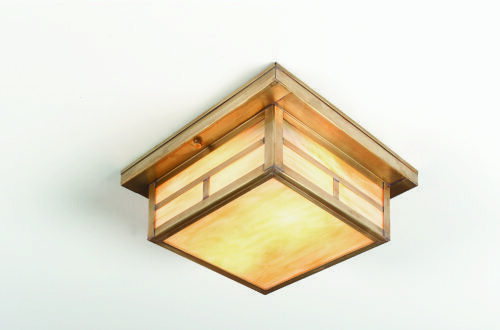 Furthermore, choose from several glass colors to complete the look of this classic Frank Lloyd Wright inspired lighting. Also in terms of illumination, most of the Arts & Crafts Lighting is equipped with a single medium base socket rated for 100 watts. As mentioned, we create a complete collection of Arts & Crafts Lighting Fixtures for both interior & exterior use. Most noteworthy, each Craftsman Style Post Lantern is made with a 3″ industry standard post fitter. Therefore, whether you choose a solid Wooden Cedar Lamp Post or Cast Aluminum Lantern Poles, the light will attach securely to it. 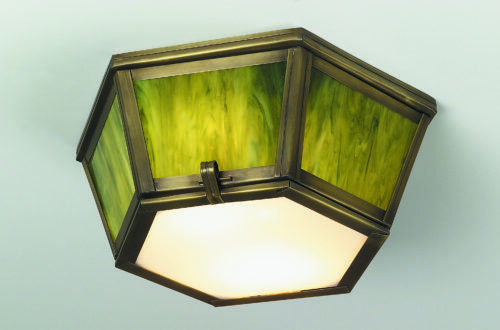 In addition, models such as Arts & Crafts Post Lantern ACCM342 can be adapted to attach to a stone pier or pillar. Of course we also create a complete line of coordinating Craftsman Style Wall Lanterns and Hanging Light Fixtures to complement your Arts & Crafts Style Post Lantern. Also, with several glass choices to choose from, you can easily customize the look of your lighting. Thus, whether you own a classic Craftsman Bungalow, a Mountain Lodge or Log Home, our Arts & Crafts Lighting Collection blends with your design scheme. No matter what, while Arts & Crafts Lighting is primarily used outdoors, interior applications are common. Certainly, you can install Craftsman Wall Lanterns, Hanging or Ceiling Light Fixtures in any room of your home. Furthermore, we also offer a unique variety of Arts & Crafts Wall Sconces. In addition, you can add a matching Mica, Parchment or handmade Copper Shade to any wall sconce for a striking appearance. Thus, from a small hallway to a great room, Arts & Crafts Lighting makes an attractive addition inside your home. Above all, the Old English Tudor Style Copper Chandelier gives you a look unmatched in the lighting industry. Certainly, with hand hammered heavy gauge copper construction similar to Arts & Crafts Lighting, it blends nicely with it. First of all, the strong, yet seemingly simple shape of the chandelier stands out in any setting. Especially relevant, the hand applied rivets and hammered copper surface provides unique detail and texture. Furthermore, you can pair it with the coordinating Old World Sconces. Of note, their graceful half moon shape mirror the strong simple lines of the chandeliers. In addition the “Arrowhead” Tudor Style Wall Sconces offer a look that is uniquely American. Most of all, these sconces are fully handcrafted from heavy gauge copper, creating a look exclusive to Hammerworks. More importantly, the charm & character of this unique design is especially suited to log homes, lodges and other rustic settings. Are you searching for an innovative lighting choice? Then perhaps you should consider our collection of handcrafted Gooseneck Lighting. Also known as Sign Lighting, we create Gooseneck Lights in your choice of solid copper or brass. 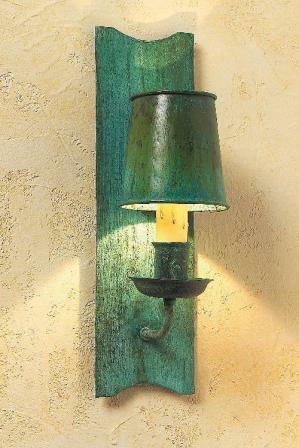 In addition, you can choose a verdigris finish if you prefer. Furthermore, several models feature a black powder coat steel arm, giving the fixture a striking contrast. Not only that, choose between either the fluted round or cone style shades. Also, due to the variety of sizes and arm configurations, custom options are always available. In terms of illumination, most Gooseneck Light fixtures accommodate up to 150 watts in a standard medium base socket. Most importantly, our Gooseneck Sign Lighting is made completely by hand in the USA. Certainly, while Gooseneck Lighting originated primarily to light storefront signs, functions have broadened to include a variety of residential applications. Consequently, they are an excellent choice to illuminate several areas around the home. Thus, for a unique look, you can use Gooseneck Doorway Lighting SLS 508 to illuminate your entryway, garage, deck or patio. Of course, by nature Copper Gooseneck Lights will never rust or corrode. Not only that, the clean simple lines complement the look of both the Arts & Crafts as well as our handcrafted Colonial Light Fixtures. Thus for example, you can easily combine Gooseneck Lighting with perhaps the Craftsman Style ACP330, a Colonial PW103 Williams Post Lantern or even the WM110 Garrison Wall Light. 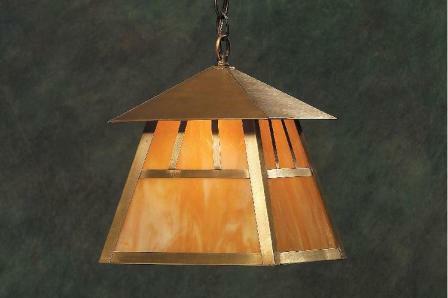 Finally, in addition to Arts & Crafts Lighting, Hammerworks is a primary source for all types of Colonial Lighting. Most notably, our style choices range from outdoor fixtures to every room inside your home. From Colonial Ceiling Lights for the smallest powder room, to large Colonial Tin Chandeliers in an expansive great room, we offer many options. Certainly, the Colonial Pierced Tin Chandeliers are a delightful style sure to please! Furthermore, because each piece is completely handmade, custom options are always available. Above all, each design is available in a variety of sizes, styles and finish selections. Therefore, whether it is one room or an entire home, for all types of handcrafted lighting, look no further than Hammerworks.